Marching Into the First Days of School! See a recap of the parents' meeting and look ahead to the season! We hope you were able to join us at the parents' meeting and see the sneak preview of "Wonderland!" Here are some updates and reminders for this week, and for the season (veteran band families can skim). 1) how many marching band windbreakers their section needs, in what sizes – please notify her even if you need zero! Also, if any marching band member did NOT get a rehearsal shirt last Friday, their section leader can pick one up for them in the band room. You can also donate to marching band on the above form. If you already donated, THANK YOU! If not, the suggested amount is $750 (just $500 if you already donated $250 for band camp). But ANY amount is useful, and we thank you for it! 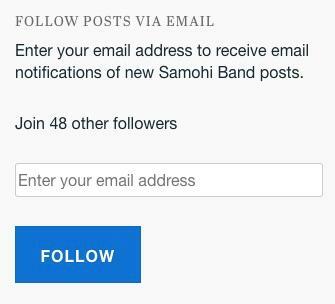 You may also print out this form and send it in with cash or a check made out to SMAPA – Samohi Bands. Please put the form and the money in a SEALED ENVELOPE and drop it in the mailbox in the Band Room. Over the next week, Alisa Stewart will be sending out individual email reminders to all parents about their Dinkles orders, so if you can’t remember whether you ordered them or not, or if you don’t know if your child’s old ones still fit, sit tight! 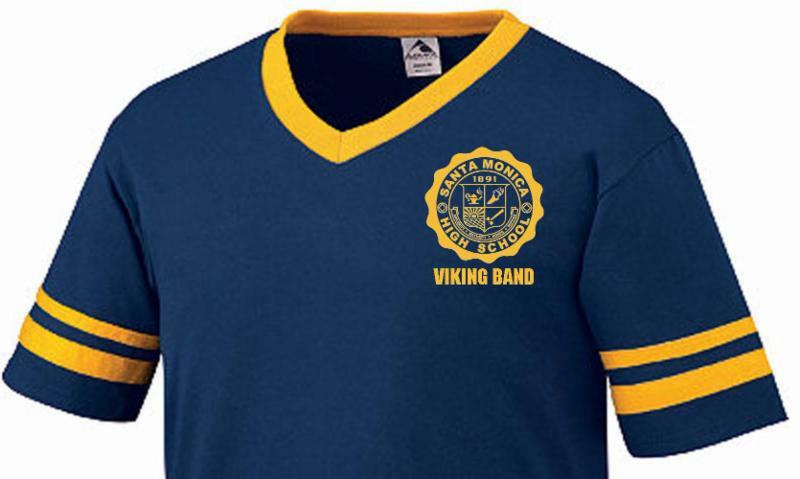 Viking Marching Band members must wear their royal-blue practice shirts for all afternoon rehearsals (not morning rehearsals), along with athletic shorts and athletic shoes. The navy-blue “retro” shirts are worn for football games, along with knee-length shorts, khakis, or jeans and comfortable shoes. Full uniforms are worn by all marchers at the competitions. These uniforms are stored and transported along with the large instruments and never come home! Under the uniform, musicians wear shorts or leggings and their royal-blue practice shirts. Marching musicians must wear black socks and Dinkles marching shoes with their uniforms. Front ensemble and color guard students will get information about dress code from their instructors. The Viking Marching Band plays at all Samohi home games (they do not travel to away games), which are at SMC’s Corsair Field. Before football games, marching band members report to the JAMS lawn across from SMC on Pearl St. for warmup, times to be announced closer to the date. The band plays pep songs in the stands during home games — they do not go out on the field at halftime. However, they may rehearse the show on the field at halftime on a date to be determined by Mr. McKeown, and they usually do one full dress rehearsal for exhibition night. 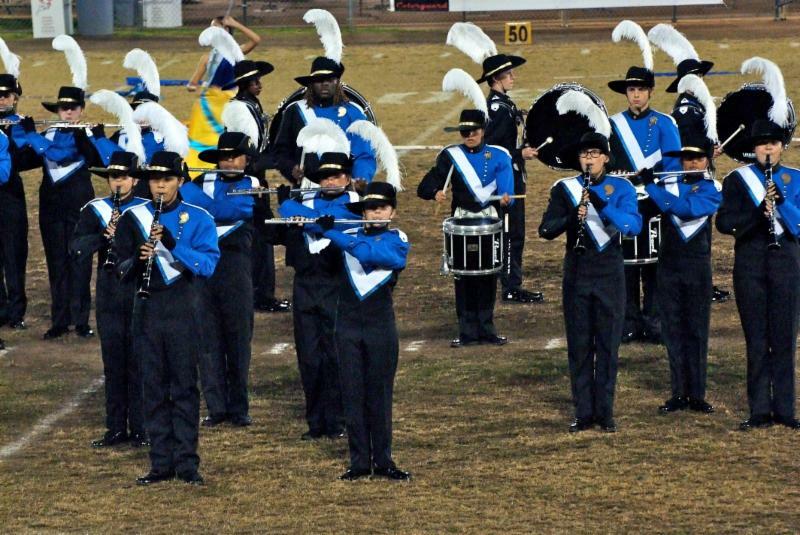 Exhibition night is a great time to invite family and friends to see the marching band perform at Corsair Field; it is the only time they can see the full show here in town! We will let you know dates as they are finalized. Even if you have never darkened the door of a high school football stadium before, you can have a great time at the Samohi games! Tickets are cash-only at the entrance, which is on 16th St. by the Swim Center. (Marching band students do NOT pay an entry fee, but you may want to give them money for food at halftime!) The kids play live music in the stands all night and have a blast. ﻿Generally, you will be dropping off your student at Samohi at around 10:30 am on competition Saturdays with a bag for the day and a packed lunch, water, and snacks. They should be wearing their rehearsal shirt and shorts/leggings, and they should pack Dinkles and black socks. You will receive a “schoolbus email” a few days before each competition with final performance times and packing lists! Students rehearse at school, eat lunch, and finally board the buses for the competition. When they arrive, they rehearse some more, eat dinner, and often walk onto the field for their performance in the evenings. 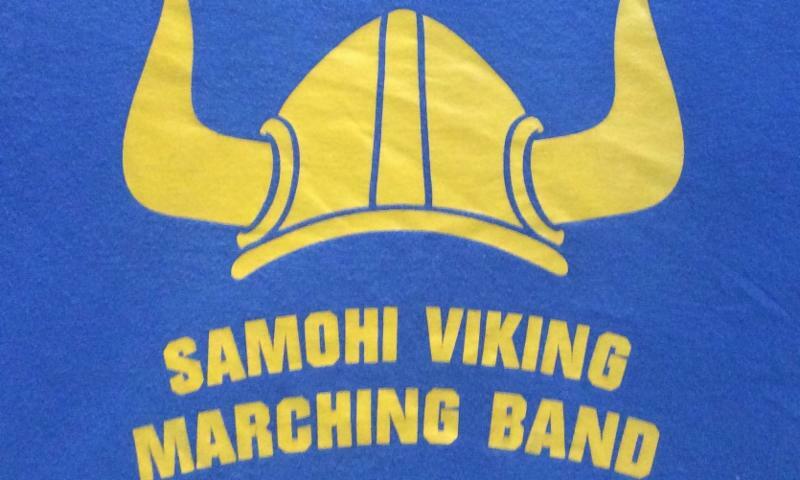 If you would like to see your child perform and cheer on the Samohi Viking Marching Band, you are very welcome to come out to the comps on your own! There are varying entrance fees for each venue. 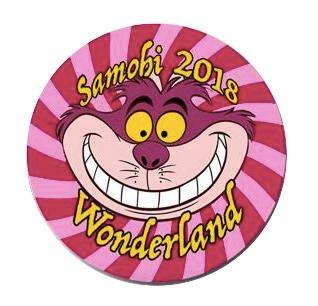 Make sure you arrive at least 30 minutes prior to Samohi’s start time – give yourself time to find parking and seats. And please remember, no matter how late you stay, you will not be leaving with your child. They go home on the bus, and you will meet them in the Samohi parking lot at around 11 pm or 12 am. Spanish translators: Calling all bilingual community members! We could really use some help getting the band communications translated into Spanish. If you think you could volunteer any time doing this – or if you know of any excellent Spanish immersion students at Samohi who could use the volunteer hours – please send an email to Clare Haygood at cbhaygood@mac.com. Samohi Viking Marching Band has been invited to participate in UCLA Band Day on October 6 at the UCLA vs. University of Washington game at the Rose Bowl! You’ll get more information closer to the day, but all you need to do is drop off your child at the high school on the morning of the 6th and pick them up at night. For this special event, high school marching bands rehearse together and then play on the field during halftime! The Samohi students will sit in either the north end zone (Gate N / Sections 11 & 12) or south end zone (Gate A / Sections 25 & 26). We will not know where Samohi will be seated until they enter the stadium on game day. Tickets for both end zones are General Admission, and you can sit in either end zone after purchasing your ticket. Here's what Band Day looked like from the stands in 2017!